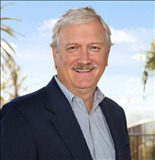 Gary S. Koch is an experienced 32 year real estate industry veteran. His background working with Investments and Investment Property Management gives him a keen eye for protecting the financial best interest of his clients. As a 25 year resident of South Orange County, Gary has an intimate knowledge of the communities and market conditions that effect home values. He is affiliated with the #1 selling real estate brokerage in Southern California and the World Wide Leader in Luxury Home Marketing, Coldwell Banker NRT. Top 1% Coldwell Banker worldwide. Click here for a few of my recent listings and sales. Listing courtesy of Laguna Premier Realty Inc. Listing courtesy of Cobalt Real Estate, Inc.
Based on information from California Regional Multiple Listing Service, Inc. as of Apr 18, 2019 11:07:am. This information is for your personal, non-commercial use and may not be used for any purpose other than to identify prospective properties you may be interested in purchasing. Display of MLS data is usually deemed reliable but is NOT guaranteed accurate by the MLS. Buyers are responsible for verifying the accuracy of all information and should investigate the data themselves or retain appropriate professionals. Information from sources other than the Listing Agent may have been included in the MLS data. Unless otherwise specified in writing, Broker/Agent has not and will not verify any information obtained from other sources. The Broker/Agent providing the information contained herein may or may not have been the Listing and/or Selling Agent.